Here’s a white wine lover’s dream deal that’s for your eyes (and wine glasses) only! 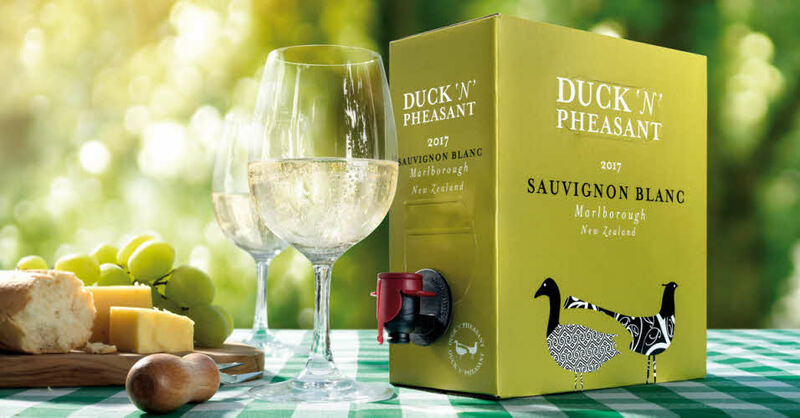 Duck ‘n’ Pheasant is one of Laithwaite's best loved Sauvignons. A tangy, zesty, flavour-packed New Zealander that customers just can’t get enough of. Now available in a super-handy “stay fresh” two-litre box for just £20.97 (usually £23.97), with FREE delivery (usually £7.99). That works out at the equivalent of £7.87 per bottle for a wine that normally flies off the shelves at £12.99 a bottle. What’s more, the conveniently compact box is so easy to store, and keeps wines fresher for longer after you’ve opened it. Perfect for a weekend away! Offer available until 30 April 2019, while stocks last! New customers (18 years or over) only. One wine box per household. Delivery within 3 working days (except NI and Scottish Highlands). Wine from One Waterside Drive, Arlington Business Park, Theale, Berkshire, RG7 4SW. As this is a member offer, make sure you're logged in so that you can find out how to get this fantastic offer.